0.32 Henry A. Giroux, Where Have All the Public Intellectuals Gone? Racial Politics Pedagogy and Disposable Youth, JAC, 1997. 0.29 Rosa A. Eberly, From Writers Audiences and Communities to Publics: Writing Classrooms as Protopublic Spaces, Rhetoric Review, 1999. 0.27 Henry A. Giroux, Beyond Neoliberal Common Sense: Cultural Politics and Public Pedagogy in Dark Times, JAC, 2007. 0.27 Henry A. Giroux, Public Pedagogy and the Responsibility of Intellectuals: Youth Littleton and the Loss of Innocence, JAC, 2000. 0.27 Henry A. Giroux, Private Satisfactions and Public Disorders: "Fight Club" Patriarchy and the Politics of Masculine Violence, JAC, 2001. 0.26 Henry A. Giroux, Resisting Market Fundamentalism and the New Authoritarianism: A New Task for Cultural Studies?, JAC, 2005. 0.26 Henry A. Giroux, From "Manchild" to "Baby Boy": Race and the Politics of Self-Help, JAC, 2002. 0.25 Henry A. Giroux, Cultural Studies and the Culture of Politics: Beyond Polemics and Cynicism, JAC, 2000. 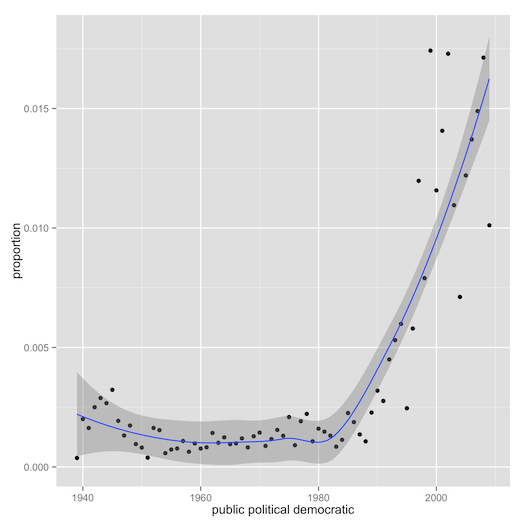 0.24 Irene Ward, How Democratic Can We Get? : The Internet the Public Sphere and Public Discourse, JAC, 1997. 0.23 Kristen Kennedy, Cynic Rhetoric: The Ethics and Tactics of Resistance, Rhetoric Review, 1999. 0.22 Susan Searls Giroux, The Post-9/11 University and the Project of Democracy, JAC, 2002. 0.22 Kenneth J. Saltman, Capitalizing on Disaster: How the Political Right is Using Disaster to Privatize Public Schooling, JAC, 2008. 0.21 Sandra Stotsky, Sandra Stotsky Responds, College English, 1993. 0.21 Susan Wells, Rogue Cops and Health Care: What Do We Want from Public Writing?, College Composition and Communication, 1996. 0.20 Philip J. Burns, Supporting Deliberative Democracy: Pedagogical Arts of the Contact Zone of the Electronic Public Sphere, Rhetoric Review, 1999. 0.20 Frank Farmer, Composition Studies as Liminal Counterpublic, JAC, 2008. 0.20 Henry A. Giroux, Politics War and the Disappearance of Children, JAC, 2003. 0.19 Mary M. Salibrici, Further Thoughts on Civic Participation in College Composition Classes, Rhetoric Review, 1997. 0.19 Henry A. Giroux, Breaking into the Movies: Pedagogy and the Politics of Film, JAC, 2001. 0.17 Christian R. Weisser, Subaltern Counterpublics and the Discourse of Protest, JAC, 2008. 0.17 Susan Searls Giroux, Race Rhetoric and the Contest over Civic Education, JAC, 2000. 0.16 Gerard A. Hauser, Aristotle on Epideictic: The Formation of Public Morality, Rhetoric Society Quarterly, 1999. 0.15 Eric Weiner, Making the Pedagogical (Re)Turn: Henry Giroux's Insurgent Cultural Pedagogy, JAC, 2001.